The salon category provides a list of WordPress themes that you can use to create an official website for your salon business. A good salon business usually offers two types of services, which are hair styling services and skin care services. With these themes, you can easily promote the services that you offer in your salon easily. 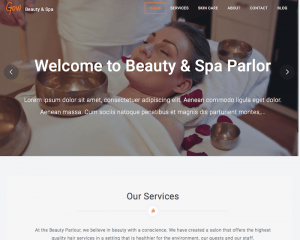 If there are additional services such as manicure, pedicure, massage, and spa, you can also include it in your website. These themes are designed to be flexible, with strong focus on professional and beautiful design in order to attract more customers to your business. Aside from that, you can also add a blog section on your website where you can update your website regularly with useful beauty and hairstyle tips, as well as special deals from your salon.